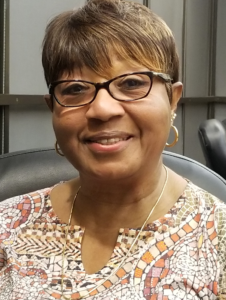 My name is Minnie Pearson and It is with profound pleasure that I introduce myself as the new interim president of the Champaign County Branch. I have lived in the Champaign – Urbana Community for over 50 years. I graduated from the University of IL with a Master’s Degree. I knew from an early age that I wanted to teach elementary education. After graduating from the U of I with a BS degree. I got my first teaching job in the Unit 4 School District as a first-grade teacher at Dr. Howard School. I worked in this same district for over 30 years. I am now retired. However, I enjoy working with children so I continue to substitute teach a couple days a week. It helps me keep up with best teaching practices. I also volunteer as a C U One to One mentor for the last ten years in the Champaign Schools. You can say that I am a public servant by nature. I am a life member of the NAACP Champaign County Branch and have served as the first vice President for the last eight years. In addition to serving as the NAACP first vice president, I also serve as the Education Committee Chairperson. I’m especially proud of our committee’s Anti Bullying Programs. The local mission of the NAACP Champaign County Branch is to ensure political empowerment, educational excellence, social and economic equality of life for all persons and to eliminate racial hatred and racial discrimination where ever it exist. As interim president, I promise that I will continue to work hard to uphold the mission of the NAACP. As we all know, an organization is only as strong as its membership. Hence, I invite each of you and yours to please get involved. Take out a membership in this local branch and become part of a committee or serve on the board. You are needed and we welcome you. Glad to see you get this position. Your dedication to serving is real and true. Congrats to you. Anything I can do to assist you let me know! Serving our community. Making a difference one child at a time! !